We found 57 tour packages! 0900 hrs: Pick up from hotel and transfer to jetty. 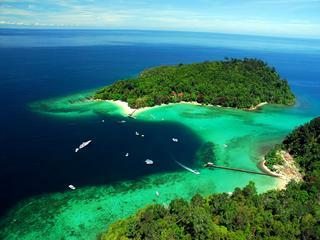 Board a 15-minute ferry ride to one of the five stunning islands that make up the Tunku Abdul Rahman Park. The boomerang-shaped Manukan Island is the second largest island within the park, with excellent stretches of beaches and a good trail system around the island. With crystal-clear waters and a colourful marine life, this island is an excellent venue for all kinds of water sports. The whole day is yours to enjoy at your leisure, whichever way you prefer - picnicking, snorkelling, or just relaxing on the beach. Also included in the package is a sumptuous barbeque lunch by the sea. Spend the day for your own leisure: Go swimming, snorkelling or just laze yourself or suntan at the white sandy beach. Short and simple trails are available for your own option if you wish. After lunch, continue your free leisure time before departure. 0900 hrs: Pick up from hotel and transfer to jetty. 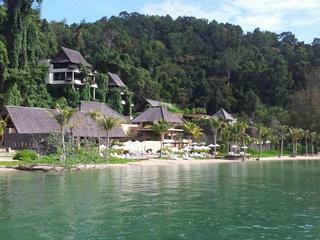 Board a 15-minute ferry ride to Gaya Island, the largest of five islands of Tunku Abdul Rahman Park. Gaya Island is known to have some of the best lowland forests. 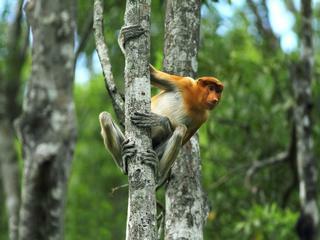 Upon arrival, trek for about 1½ hrs through coastal vegetation, mangrove swamp and lowland dipterocarp forest. 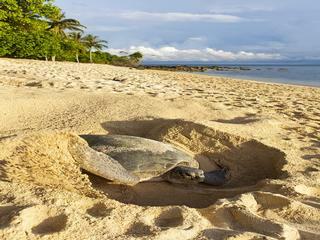 Our guide will explain to you about the flora and fauna of this tropical island. After your trek through this primary forest, pick up by boat and transfer to nearby Sapi Island, the smallest among the five islands and well-known for snorkelling for its colourful marine life. 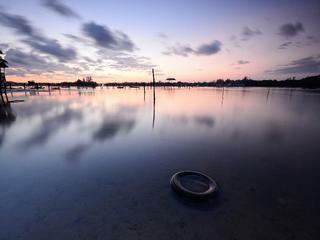 Spend the day for your own leisure: Go swimming, snorkelling or just laze yourself or suntan at the white sandy beach. Short and simple trails are available for your own option if you wish. After lunch, continue your free leisure time before departure. Barbecue lunch is included. 1500 hrs: Board boat from island jetty to Kota Kinabalu mainland and transfer back to hotel. The village is located about 25 minutes away from the city. The journey will take you to long roads surrounded by a rich spectrum of greenery and overarched by wild blue skies. In the village, the colors of cultural diversity are not an issue but rather our pride, where you can savor the soul of Sabah. Upon arrival at the entrance of the village, you will be ushered to the warmth of different homes of the ethnicities of Sabah. Each home was built by descendants of the tribes they represent and offer you a truly genuine experience seeing everything in and around the village lends to its magical prowess of taking you back in time. Not only does this village portray these tribes through the architectural genius of their traditional houses, but also through a range of simulated lives of the olden epoch by the residents of the village. Acquaint yourself with each tribe as they let you come into their house and their simple yet intricate lives. As you traverse the village, you will find demonstration huts along the main houses in which daily activities of old times come into life. For example, the making of blowpipe, starting a fire (from bamboo tree - you will learn the steps of making fire without the help of a lighter), tattoo-making (and its symbolisms) and etc. By the end of your journey into the past, you have been given a setting for you to see, hear, taste and feel the uniqueness of what Sabah truly is…an unforgettable encounter of our Sabahan homeland. 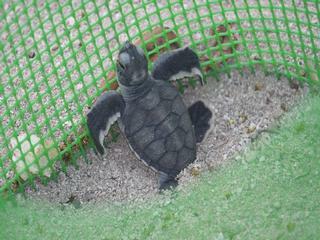 The Lok Kawi Wildlife Park is run by Sabah Wildlife Department under the Ministry of Tourism, Culture and Environment. 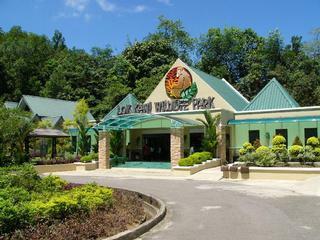 The park covers about 280 acres of land which includes the Botanical Site managed by Sabah Forestry Department and the Zoological Site. This family-oriented park features exotic and endangered species such as the Sumatran rhinoceros, the Proboscis monkeys, the Malayan tigers, the Orang Utan, the Borneo Pygmy elephants and colourful hornbill birds. On the Botanical side, visitors can walk the 1.4 km trail that leads to the Herbal and Ginger Garden to catch a glimpse of the ever famous pitcher plant (nepenthes sp) and an opportunity to examine some rare plant species up close. Some dipterocarp trees can also be found in this area. Take a morning drive to Gayang Village, which is one of the sites where one can observe the lifestyle of the Bajau (one of Sabah indigenous ethnic groups) also known as the sea gypsy. 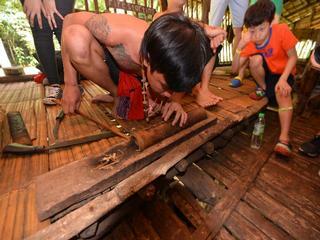 Upon reaching the village, light refreshment will be served before embarking the river to see the houses of the Bajau's. You will be able to participate in the crab catching which is one of the activities of the Bajau people and later the traps will be collected after the end of the cruise. Observe the vegetation of the mangrove which provides not only shelter but also protection against any strong winds and tides. Stilt houses can be seen along the river banks and also fish traps which provide the fishermen extra income. Returning back to the jetty, Batik Painting activity is one of the pastimes that the people have acquired when they embrace other customs. Try your skills on one of Malaysia's major collage industry and maybe you just might be able to bring back your priceless work of art. Transfer back to hotel.